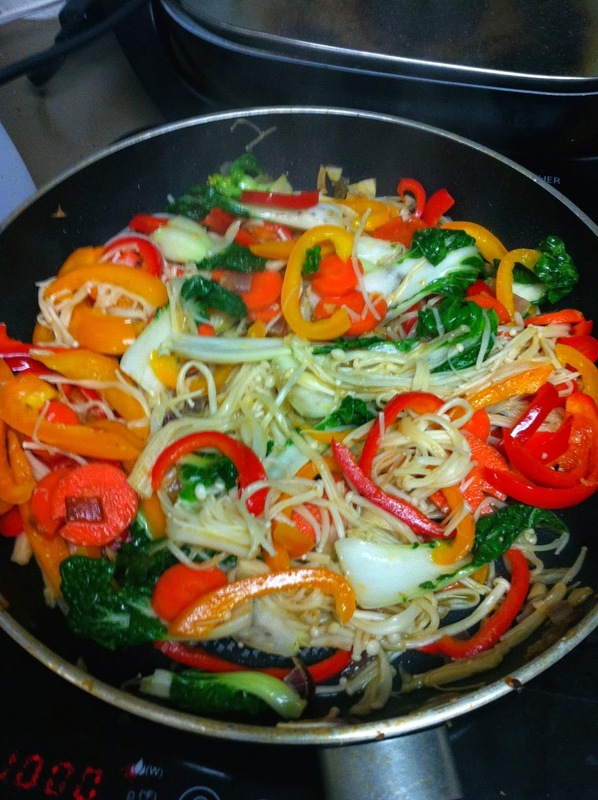 WARNING: I use MSG (Monosodium Glutamate), a popular flavour enhancer in this recipe, if you believe that it's bad for you (but are not quite sure why or what the alleged symptoms are) please read here and here. Thank you. 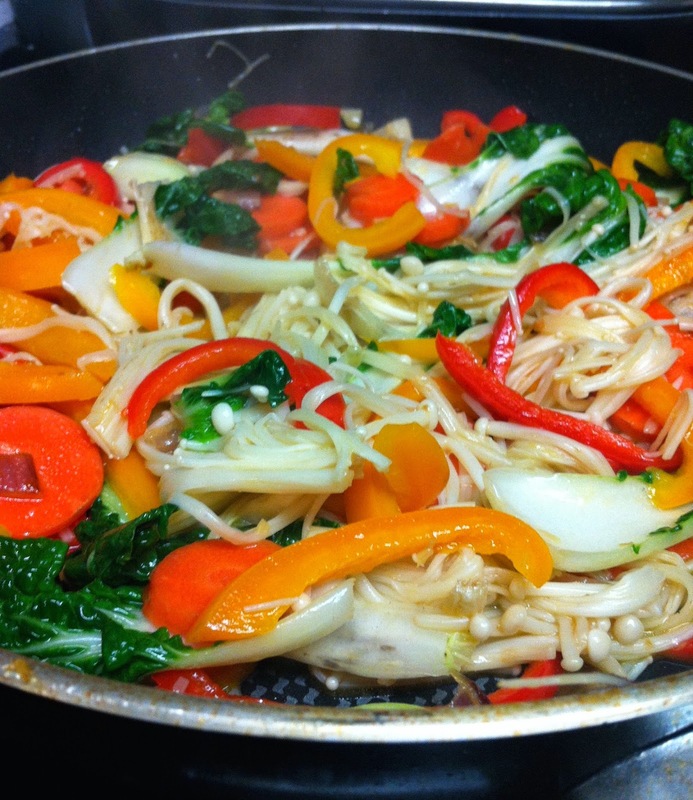 This dish is a sweet and umami stir-fry that can be made in around 20 minutes. It makes four large servings for an approximate price of around $5.50 (prices will vary region to region and season). 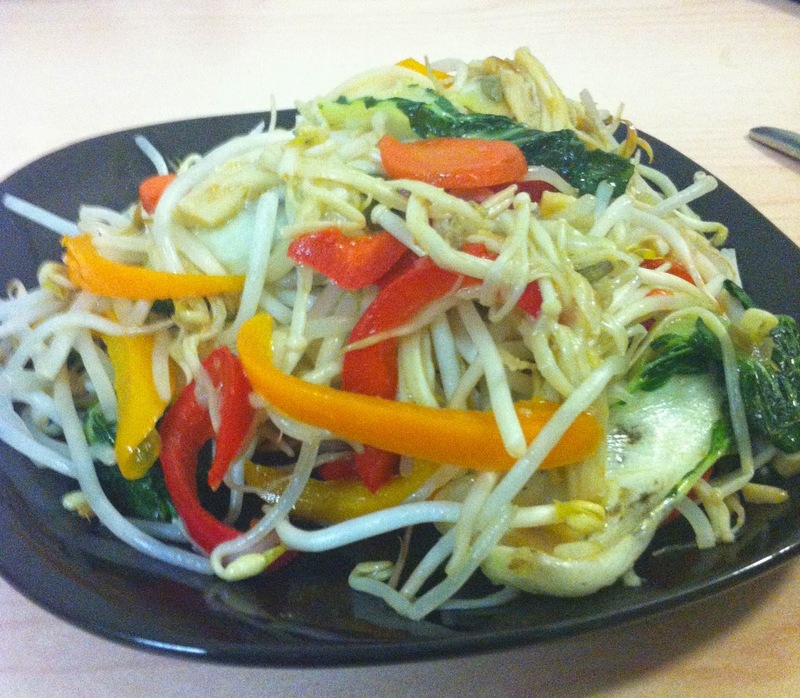 There are no saturated fats in this dish, has high amounts of vitamin A & C, and is relatively high in protein because of the bean sprouts. 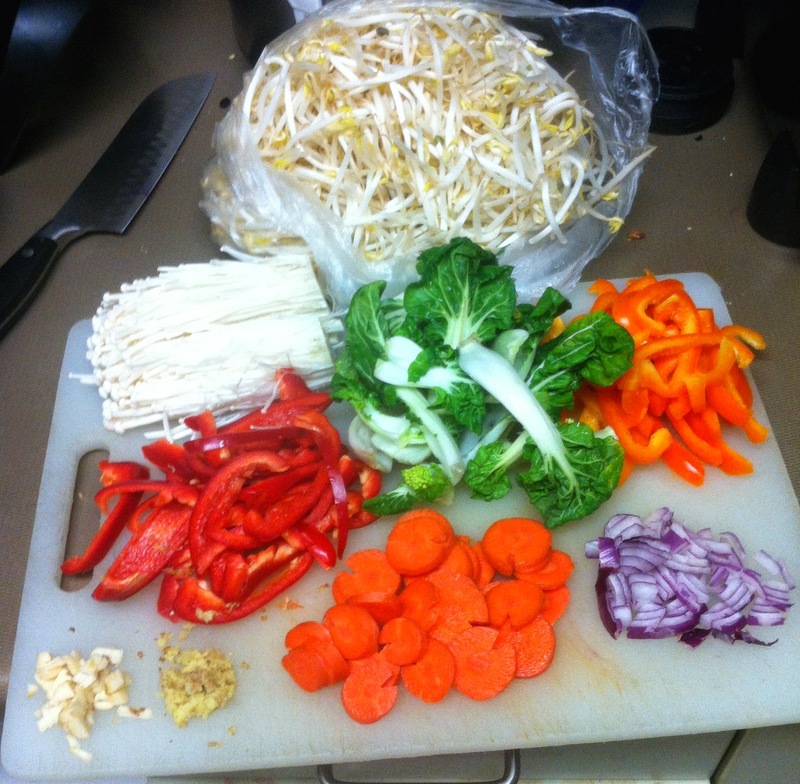 Step One: Slice all the vegetables into thin strips (this helps cooking time). 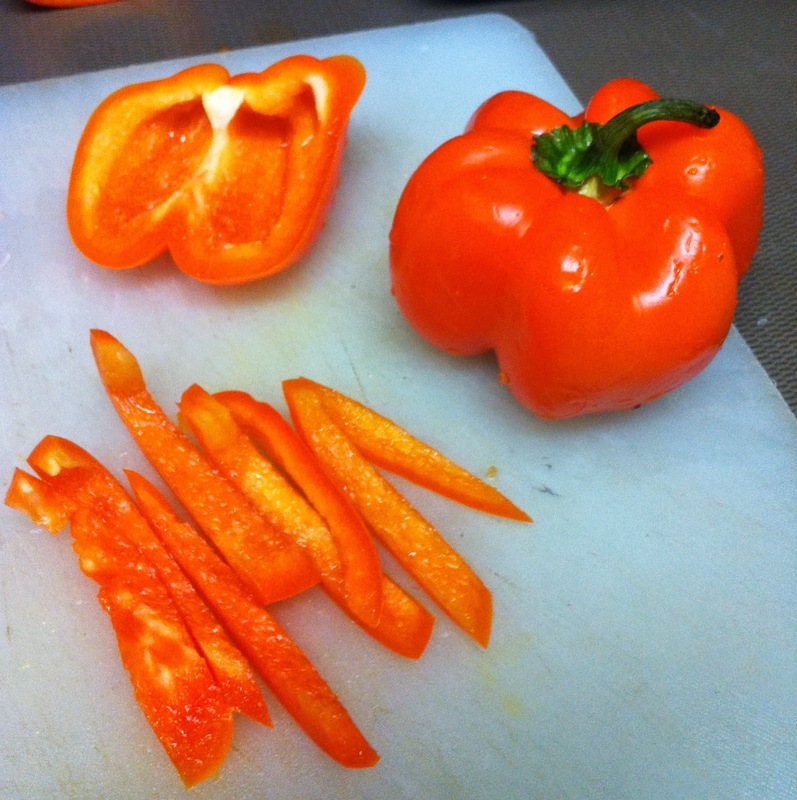 When the peppers and carrots are cooked they become more sweet as the natural sugars begin to caramelize. 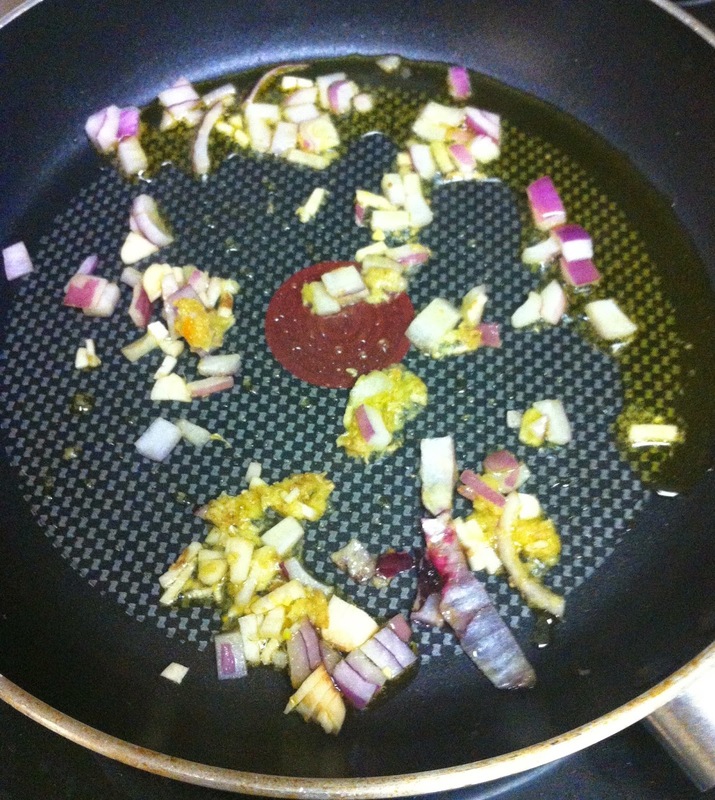 I chose to use red onion because of it's relatively mild and sweet taste. The ginger adds a subtle sweetness as well. The earthy and savoury taste of the enoki mushrooms help balance out the sweetness of the dish. 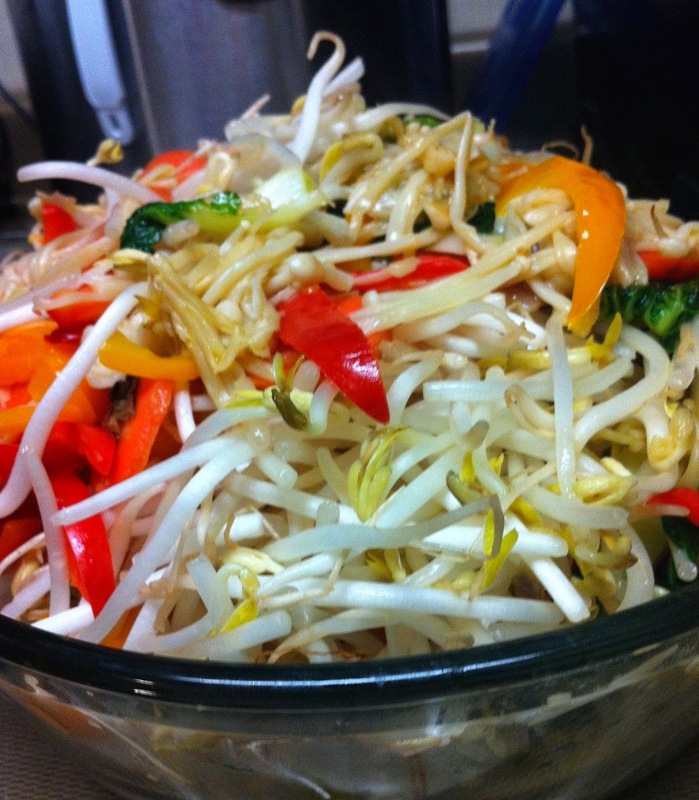 The bean sprouts are moderately bland and help add texture as well as a bit of filler to the meal. PROTIP: let the bok choy soak in warm water for five minutes then put in the fridge for another five minutes to rehydrate and crisp it up. Step Two: Combine onion, garlic, ginger, and olive oil into a large saucepan over medium high heat for a minute. I start with these ingredients because it allows the flavour to be brought out more efficiently before adding in the other ingredients. 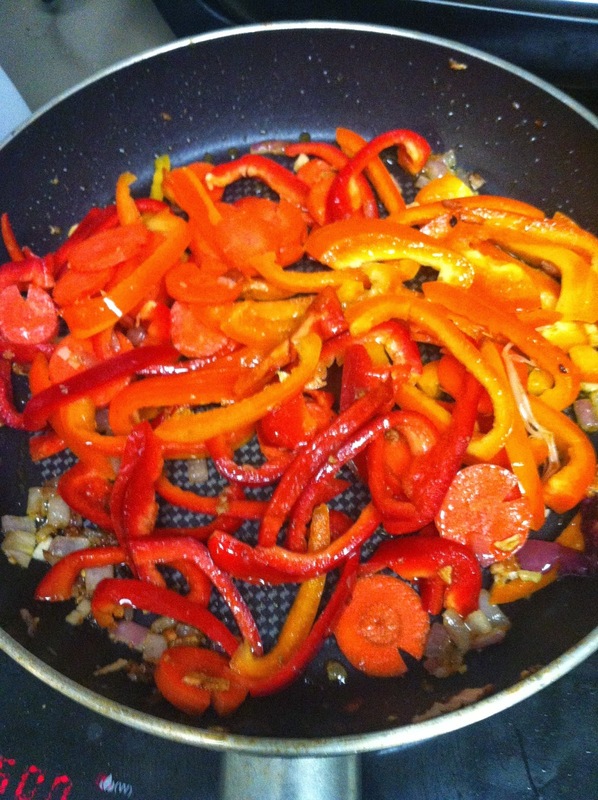 Step Three: Add peppers and carrots. These ingredients generally take longer to cook, so it's best to add them first and let cook for 2 - 3 minutes. Step Four: Add enoki mushrooms and bok choy, reduce to medium heat and let simmer until the bok choy and mushrooms have wilted adequately and the whole thing has reduced to about two thirds the original size. Add the MSG then mix thoroughly. 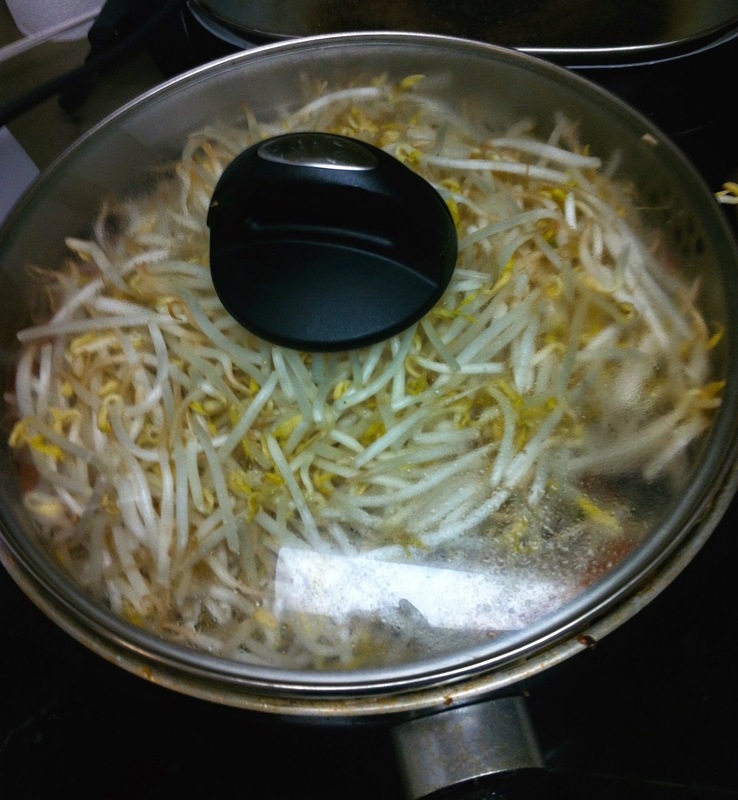 Step Five: Add bean sprouts and cover to warm the bean sprouts without actually cooking them so they remain crisp. Step Six: Plate and serve! I didn't have any sauce to add but feel free to use Sriracha, soy sauce, or any other spice you wish to add. This makes four large servings.